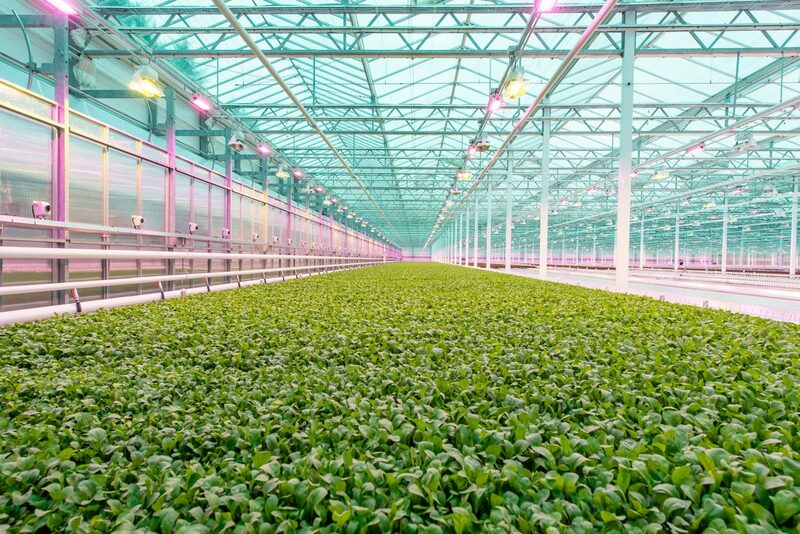 Little Leaf Farms has built the most modern, technologically-advanced greenhouse in the world. 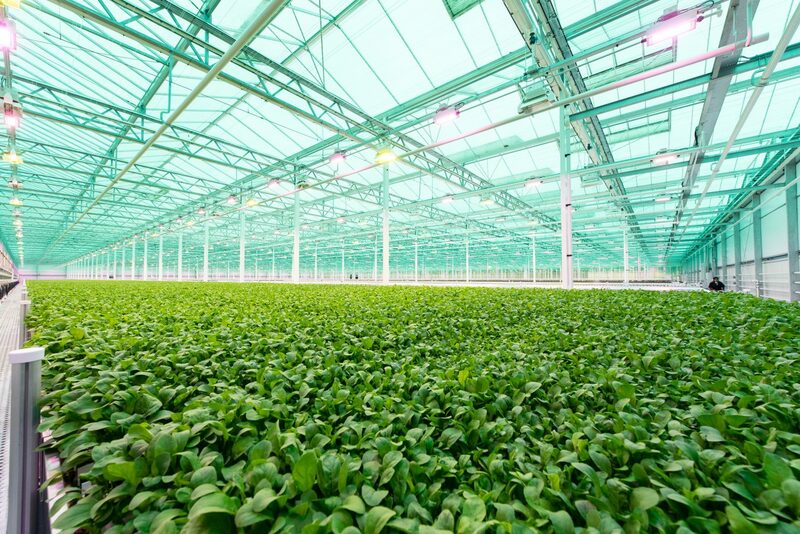 Our three-acre greenhouse facility in Devens, Massachusetts is centrally located to bring the freshest and best tasting baby lettuce to New England. As we continue to grow, we look forward to breaking ground in 2017 on Phase 2 of our 10-acre greenhouse development. At Little Leaf Farms, sustainability has been built in at the design level – from the use of renewable energy to power growing lights to our rainwater collection and reuse systems. 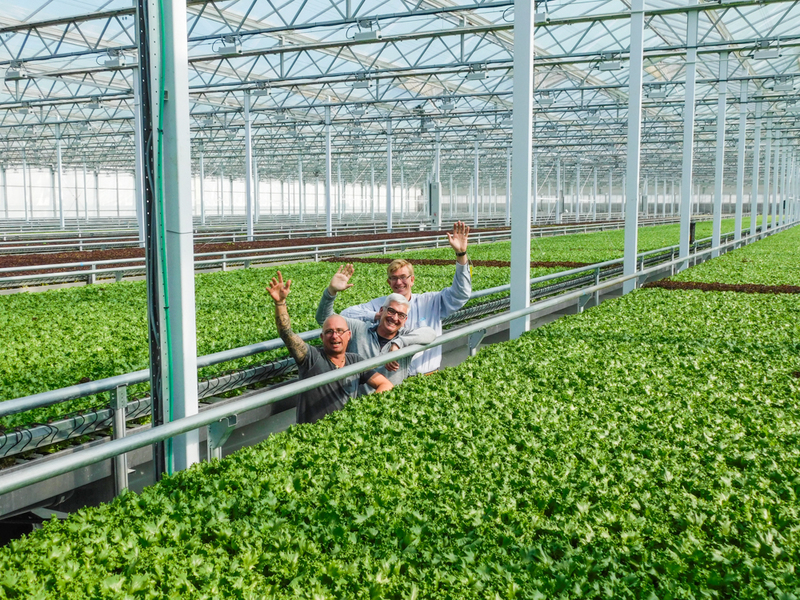 We believe that cost-efficient growing and environmentally sustainable practices can work together. That belief drives us to do things the way we do. Our greens are grown hydroponically using 100% captured rainwater. Unless New England finds itself in a drought, we will never use our valuable groundwater reserves. We have also built an advanced fertilization and irrigation system that uses up to 90% less water than field-grown greens. We use a natural gas-powered heating system that operates with over 95% efficiency. In addition to heating our greenhouse, we have a specially designed system to capture CO2 and use it within our growing system to optimize plant development. Plus, a significant portion of our electricity is generated from solar energy! Our greenhouse is built to maximize the use of natural sunlight. This starts with using some of the best glass in the world allowing full use of free and carbon-free natural sunlight. Due to low-light conditions during the winter, we supplement the natural light with LED-powered grow lights to ensure consistent production throughout the winter months. Our LED grow lights consume 40% less electricity than conventional grow lights! Over 98% of U.S. lettuce is grown in California and Arizona and shipped throughout the country. The lettuce on our New England store shelves has been trucked 3,000 miles. Little Leaf Farms delivers our greens to stores within a day’s drive – doing our part to lessen the environmental impact by minimizing diesel consumption and pollution. And the biggest benefit to consumers is our unparalleled freshness, taste and quality. At Little Leaf Farms, we never treat our greens with chemical pesticides. 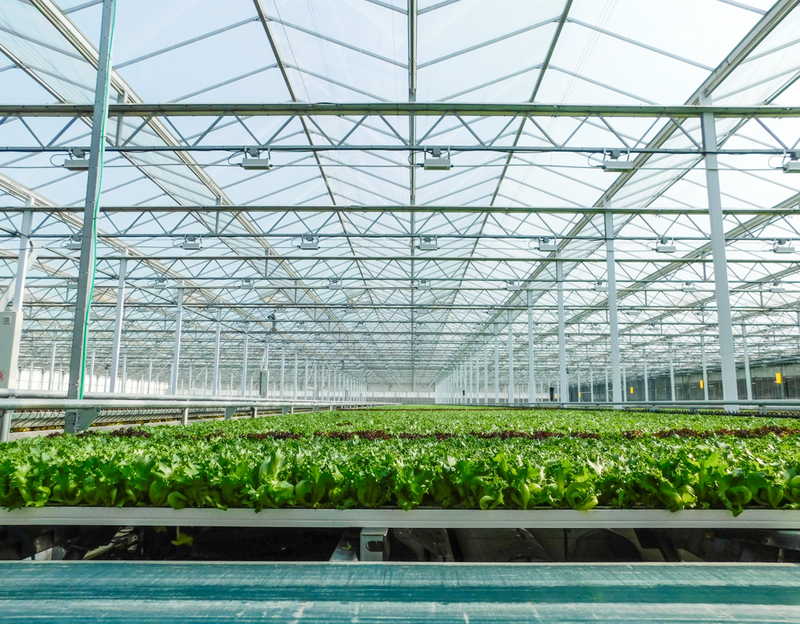 Our greenhouse uses a state-of-the-art biological control system to manage insects and provide our consumers with products free of any pesticide residue. Our seeds are naturally developed varieties and do not contain any genetically modified materials. With our clean growing technology, our baby leaves never come into contact with chlorine-based cleaners or other chemical washing agents. So you don’t have to fear the potential pathogens and harmful residues that can be introduced during triple-washing. Our entire growing system is managed through a Safe Quality Foods (SQF) program so you can be assured that our processes meet the standards set out by the world’s leading food safety experts.